Have a wider mind-set about colleges. Your children will only be able to reap the benefits of college if they are in a place that is truly right for them. Focus less on getting your children accepted into the top schools, and focus more on finding them an environment that will allow them to thrive. Be realistic about the odds. The top 30 colleges in the US have an acceptance rate of 10–20%. The top 50 colleges in the US have an acceptance rate of 20–33%. Widen your blinders, and look at several colleges instead of just the most selective. Brag about colleges that no one has heard of! This will grab the attention of your peers and put smaller colleges on the map. Understand the advantages of going to a less selective college. The student, not the school, is responsible for success. Going to less selective colleges has been proven to help students be more grounded and hardworking, as these students are aware that they need to work hard to achieve success. Students from selective colleges typically feel that they have already achieved success, and therefore do not put in as much effort. Review multiple “best college” lists. Get an idea of the education, experience, career prospects, etc. of the college you are thinking about sending your child to. Look at what other colleges out there can fulfill your needs. 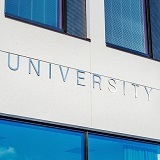 Organizations such as Colleges That Change Lives and The Alumni Factor offer helpful ranking lists of a diverse range of colleges. Consider colleges that de-emphasize test scores. Look at colleges that take a holistic view of candidates. Check out www.fairtest.org for a list of test-optional universities and liberal arts colleges. Focus on colleges that your child will fit into and belong in. Visit colleges with your child and ask them if they feel they can be themselves there. Will they be valued for who they are? If they say yes, that college is worth applying to.